India is an extraordinary place, one of the world’s great human melting pots where an incredible array of cultures, religions and ethnicities live in reasonable harmony. It teems with one-sixth of the planet’s population from rural villages where life hasn’t changed for hundreds of years, to ultra-modern cities like Mumbai that ooze western sensibilities. India is simply vast, varied and, above all, unforgettably beautiful. With an ability to inspire, frustrate, thrill and confound all at once, India presents an extraordinary spectrum of encounters for the traveller. Stretching from the frozen barrier of the Himalayas to the tropical greenery of Kerala, and from the sacred Ganges to the sands of the Thar Desert, the boundaries of India encompass incomparable variety. India’s rich and multi-layered cultures are dominated by religious and spiritual themes. India’s cultural heritage is expressed through its myriad of languages in which much great literature and poetry have been written. Art and theatre flourish amongst the bustling cities of the country, against the backdrop of the ever expanding western influences. For those seeking spiritual sustenance, India has oodles of sacrosanct sites and thought-provoking philosophies, while history buffs will stumble upon gems from the past almost everywhere – grand vestiges of former empires serenely peer over swarming streets and crumbling fortresses loom high above plunging ravines. 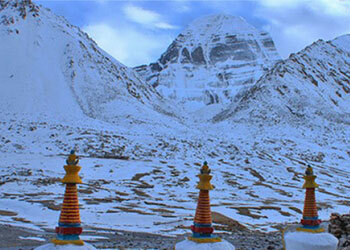 Mountains, jungles, deserts and beaches, India has it all. 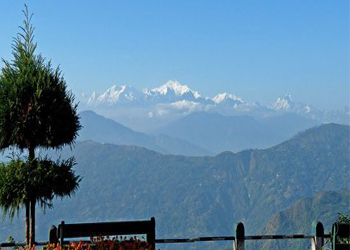 It is bounded to the north and northeast by the snow-capped Himalayas, the tallest mountain range in the world. They also feed the perennial rivers Ganga, Yamuna (Jamuna) and Sindhu (Indus) on whose plains India’s civilization flourished. The other Himalayan River, Brahmaputra flows through the northeast, mostly through Assam. The Deccan plateau is bounded by the Sahyadri (Western Ghats) range to the west and the Eastern Ghats to the east. The plateau is arider than the plains, as the rivers that feed the area, such as the Narmada, Godavari and the Kaveri run dry during the summer. Towards the northeast of the Deccan plateau is what used to be a thickly forested area called the Dandakaranya. 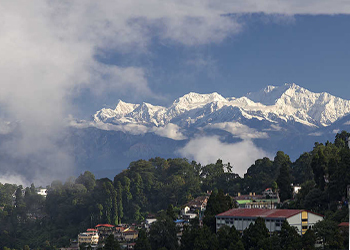 You could spend a lifetime exploring the echoes of ancient cultures, and the country’s dramatic landscapes, including the mighty Himalayas. The most frequently visited part of India is the Golden Triangle, comprised of Delhi, Agra and Jaipur. The people-packed cities of Mumbai (Bombay) and Kolkata (Calcutta) have a bustling, colourful charm, while the holy city of Varanasi and the awe-inspiring temples of Tamil Nadu are rewarding places of pilgrimage. Ancient frescoes are on view in the Ajanta Caves in Maharashtra and dotted across India are 28 World Heritage Sites. Every region in India is stippled with an unmatched depth of history, diversity in cultures and language, monuments and beauty of settings. An incredible country, a perfect fusion of tradition and modernity, with a myriad of cultural and geographical diversities, India is perhaps the most diverse country in the world. Whether it is historic palaces, cultural heritage sites, majestic temples, colourful marketplaces, sea beaches, desolate deserts, forested mountains, snow-capped peaks, and even a spiritual search for you. Each of our packages combines various tour activities in India catering to your specific needs − sightseeing tour of the ancient Hindu, Buddhist, and Islamic historic places, high mountains, rivers, monuments, and desserts.